The whole concept of cemeteries as good places to find ghosts has been under discussion recently. Many psychic researchers believe that ghosts haunt places that have some meaningful relevance to their former lives. Sometimes these places recalled happy times: the houses in which they were children or, perhaps, the homes in which they raised their own families. On a grimmer note, these places could be prisons or hospitals—or other places where they spent unhappy, traumatic, or eventful times. But why a cemetery, a place where no living person longs to be and a place that, at most, is only a brief stopping point between death and the hereafter? If you were a ghost, would you rather wander around some old cemetery, or would you rather go back to your home or to some other happy place? Still, ghosts are found in cemeteries, possibly because they are somehow trapped there, bound to the spot in a psychic force that we do not understand. Noted psychic researchers Lorraine and Ed Warren would say that cemeteries are spawning grounds for evil spirits and may be portals to a nasty and demonic realm. My own experiences have shown me that far more hauntings occur outside of cemeteries than in them, but here are some stories about graveyard ghosts. 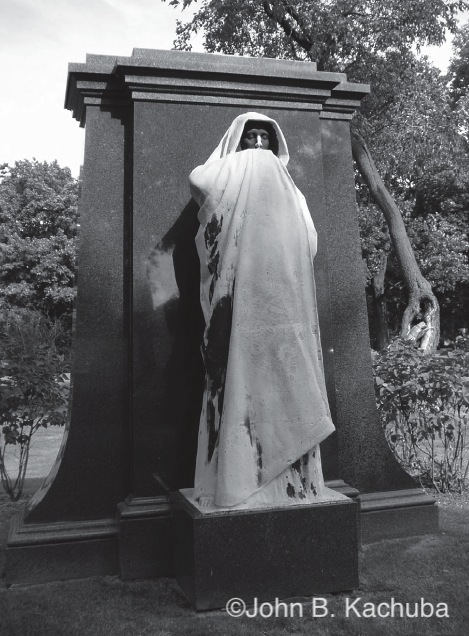 Graceland Cemetery in Chicago does have its ghosts. 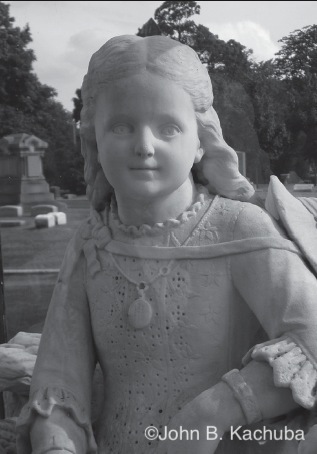 The most noted Graceland ghost is that of little Inez Clarke, who died in 1880 at the age of 6, apparently killed by lightning while on a family picnic. Her grief-stricken parents commissioned a life-sized statue of their daughter to be placed upon a stone base above her grave. The statue was shielded from the elements by a protective glass box. The stories associated with the ghost of Inez include strange weeping sounds that are heard near the statue, as well as the vision of a child who vanishes into thin air near her grave. The most interesting stories, however, concern the statue itself. It is said that sometimes the statue will disappear from within its glass box. This has been noted especially during thunderstorms, which seem to make sense because the child was killed by lightning. Perhaps poor Inez belatedly runs for cover as she relives the awful day she died. Psychic researcher Troy Taylor says that more than one security guard at Graceland has reported seeing the empty box, only later to find the statue returned to its usual place inside. One guard quit shortly after finding the glass box empty one night. It is an extremely creepy statue of a brooding man wrapped up in a voluminous robe. One arm, buried beneath the folds of the robe, is raised parallel to the ground, covering the mouth and lower half of the face. Only the eyes and nose are visible beneath the cowl of the robe. Over the years since Graves died in 1831, the effects of weather have turned the statue pale green, all except for the face, which remains black, having been protected from the weather by the robe’s deep folds. The legend says that anyone who looks into the figure’s face will catch a glimpse of his own death. For more hair-raising stories from Illinois, check out Ghosthunting Illinois by John B. Kachuba.